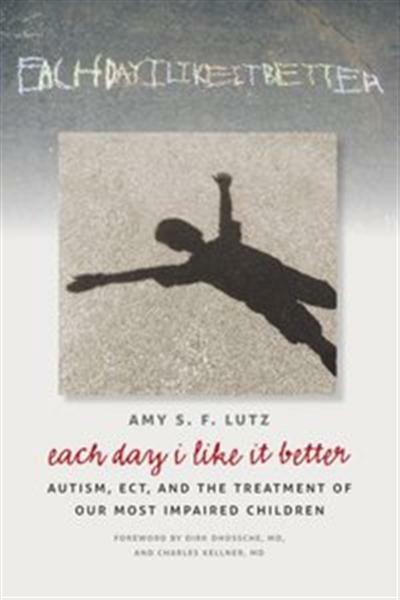 In the fall of 2009, Amy Lutz and her husband, Andy, struggled with one of the worst decisions parents could possibly face: whether they could safely keep their autistic ten-year-old son, Jonah, at home any longer. Multiple medication trials, a long procession of behavior modification strategies, and even an almost year-long hospitalization had all failed to control his violent rages. Desperate to stop the attacks that endangered family members, caregivers, and even Jonah himself, Amy and Andy decided to try the controversial procedure of electroconvulsive therapy or ECT. Over the last three years, Jonah has received 136 treatments. His aggression has greatly diminished, and for the first time Jonah, now fourteen, is moving to a less restricted school. Each Day I Like It Better recounts the journeys of Jonah and seven other children and their families (interviewed by the author) in their quests for appropriate educational placements and therapeutic interventions. The author describes their varied, but mostly successful, experiences with ECT. A survey of research on pediatric ECT is incorporated into the narrative, and a foreword by child psychiatrist Dirk Dhossche and ECT researcher and practitioner Charles Kellner explains how ECT works, the side effects patients may experience, and its current use in the treatment of autism, catatonia, and violent behavior in children. The post Each Day I Like It Better: Autism, ECT, and the Treatment of Our Most Impaired Children appeared first on Freshwap.